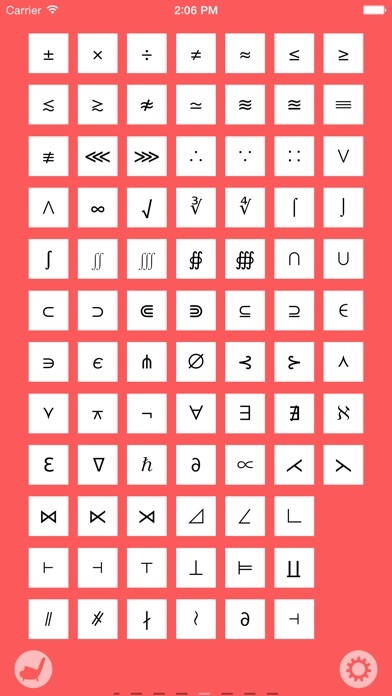 Character Pad gives you quick access to hundreds of beautiful and useful special characters, which you can use in any application. Simply tap a character to copy it to your device's clipboard, open any other app, and paste it anywhere you like. Done. Easy! 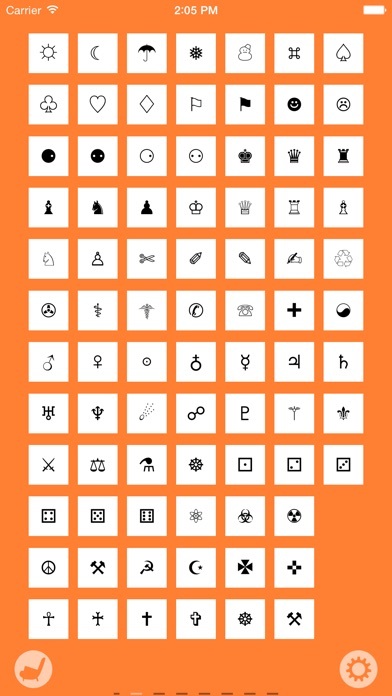 Customise your IMs, emails, documents and other texts with this great selection of special characters & symbols. Characters include: - Greek alphabet - Numbers - Math symbols - Bullets - Letterlike symbols - Many more! What two App Store reviewers had to say about Character Pad: "Dead easy to use and works a treat! Update with more characters some time........" - Soxcat "Fast, simple, does one thing and does it seemlessly. No more having to write ½ as 1/2. Thank you, well worth the dollar!" - Auntmarge64 • If you're looking for a more complete special character writing experience, please search the App Store for "Character Writer" and check out our special character text editor. Please Note: Characters will be readable from any iPad, iPhone, iPod Touch, Mac and most PCs. Some special characters may appear as question marks (?) or squares for some recipients of text messages whom use non-iPhone mobiles. I feel kind of guilty about using Character Pad when all my friends ask how I do that cool stuff and I don’t tell them because it makes me cooler than they. Hell, everybody’s got secrets, right? I mean, Jimmy Kimmel stuffs his pants an old girlfriend told me and Clooney’s been on Viagra since before, well, since before. Simply the best. Forget the rest. This WAS the best free app of its kind before the "update" took most of the characters away, forcing you to purchase what you had in the first place. NEW: Purchase options include a reduced cost for veterans (among others). But when you select that option, you are still charged full price (4 times the amount). I can understand the need for proof, but if you have no way to verify - DO NOT PRETEND to offer a lower cost. 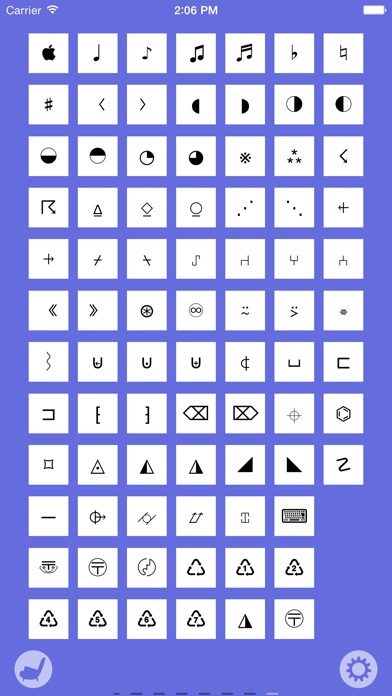 I've used this special symbols app for probably about 3-4 years. It's very easy to use (just copy & paste), & it's free! 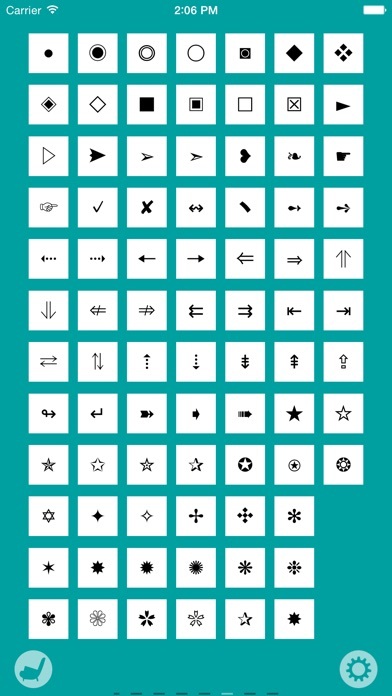 However, for $.99 you get about 4 times as many symbols, so it's definitely worth it. I LOVE all the choices for crosses! YAY!! Okay at the beginning I was confused but just tap on the symbol you want and paste it anywhere. Four stars just because you have to upgrade for more symbols but without upgrading it comes with a lot! Post-Update: Unchanged... 128GB Apple iPhone 6s running iOS v. 10.1, FYI ======== Got the app to use a THEREFORE symbol. The app REFUSES to let me purchase the $3.99 upgrade & INSISTS that I purchase a $1.99 upgrade. I'll purchase neither until: 1) I can actually Copy & Paste the THEREFORE symbol. 2) This purchase quandary is BOTH detailed & resolved. (What's included with each purchase & what specifically distinguishes the options, aside from the price? I got this app back with a gift code sometime back. App worked well enough adding a host of special characters for the keyboard. However with one of the last updates it removed essentially all the characters and made them in-app purchases. It's terrible business practice to double bill your customers. I agree with the people who said never download from this author again. Avoid this developer. I have no problem with paying for new functionality but it is abhorrent to build an app and then once people are using it, hold portions of the app hostage. I wonder if it was worth alienating your user base for a dollar.